LET’S GET FRESH IN DC - United Fresh Produce Association is leading the March! Founded in 1904, this organization serves companies at the forefront of the global fresh and fresh-cut produce industry, including growers, shippers, fresh-cut processors, and many more. From its headquarters in Washington, D.C., United Fresh and its members work year-round to make a difference for the produce industry by driving significant policies, such as increasing consumption of fresh produce, shaping critical legislative and regulatory action, and developing educational programs. 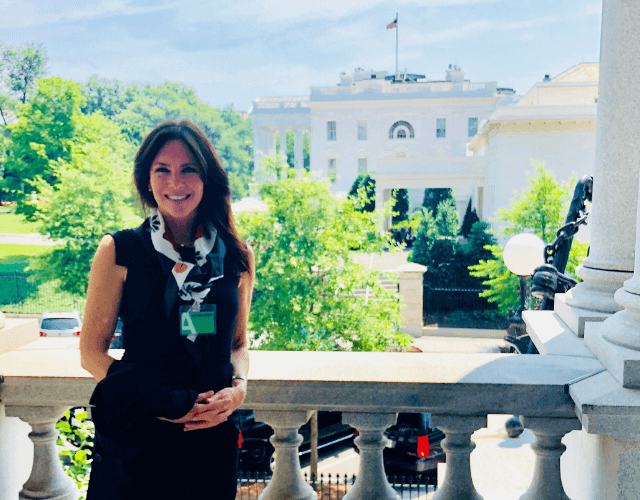 I’m really excited to share that I will be joining their members and produce partners to discuss these initiatives on Capitol Hill. We need to amplify our unified voice to the government about our food, health, and needs of our children. One thing I especially appreciate, and wholeheartedly, is that United Fresh has a vested interest in servicing schools. One endeavor, in particular, sets the bar, so to speak. Recognizing the great need for adequate equipment in schools like, cold storage, slicers, and salad bars, United Fresh’s non-profit arm, the United Fresh Start Foundation has provided over $12 million in salad bars with their partners through Let's Move Salad Bars to Schools. A major step for increasing children’s access to fresh fruits and vegetables. Research and experience in schools across the country demonstrate that children significantly increase their produce consumption when given a variety of choices in a school salad bar. When offered multiple fruit and vegetable choices, children respond by incorporating greater variety on their plates and increasing their overall produce consumption. 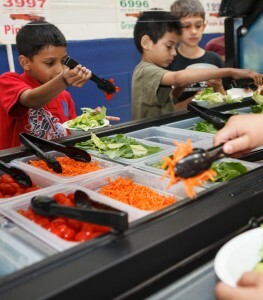 Since 2010, the United Fresh Start Foundation has helped facilitate the donation of salad bars to 5,300 schools in all 50 States, benefitting nearly 3 million children. The salad bar program provides schools with much-needed refrigeration equipment to serve fresh fruits and vegetables. Salad bars also provide a visually appealing way to highlight fresh produce choices and assists schools with meeting school lunch nutrition standards that require serving a colorful variety of fruits and vegetables each day. Their dedication to increasing the access to healthy fruits and veggies is one that begins with consistent advocacy. That’s why the Washington Conference, the fresh produce industry’s annual gathering of executive leaders, is such a monumental undertaking. This year’s United Fresh Washington Conference provides the industry an even greater opportunity to deliver a powerful message to help shape decisions made in Washington that directly impact the food industry. Keynote speakers include Senator Heidi Heitkamp, Congressional Representative Rodney Davis, and USDA Under Secretary for Trade and Foreign Agricultural Affairs Ted McKinney. While it’s understandable that industry talk can sometimes make you tune out, what I think will make you tune in is the fact that organizations like United Fresh are that village out there that has your best interest at heart, and willing to keep you in the know of their continued efforts to a healthier nation.